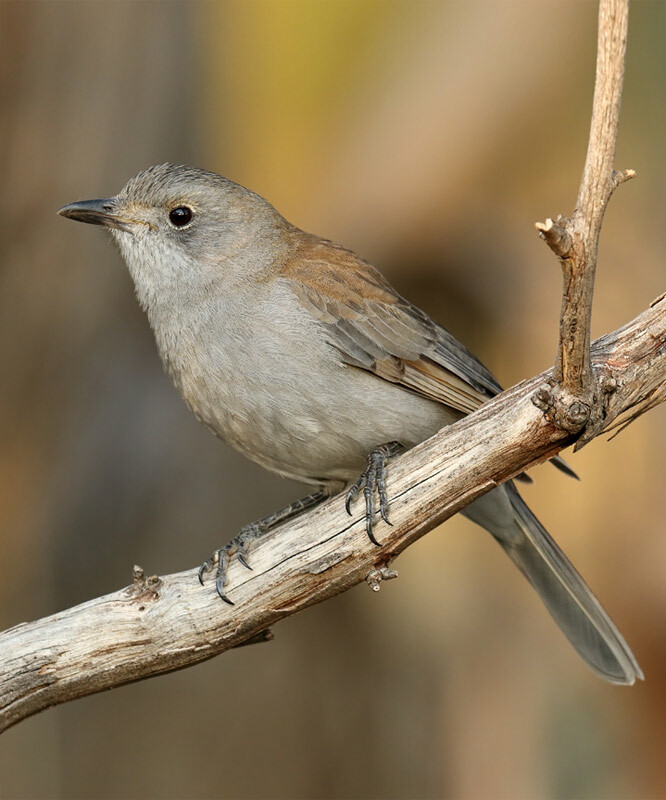 The Grey Shrikethrush (Colluricincla harmonica) [or Grey Shrike-thrush] is a common Australian songbird found throughout mainland Australia and Tasmania. It is also found in coastal New Guinea. This species has a rich, melodious song and is especially vocal during the spring and summer months. The song is often described as mellow, liquid, fluty and harmonic. A typical song phrase consists of 4-8 notes and often begins with 2-4 repetitive notes. Most song phrases contain a distinctly louder, more strident note at the end. 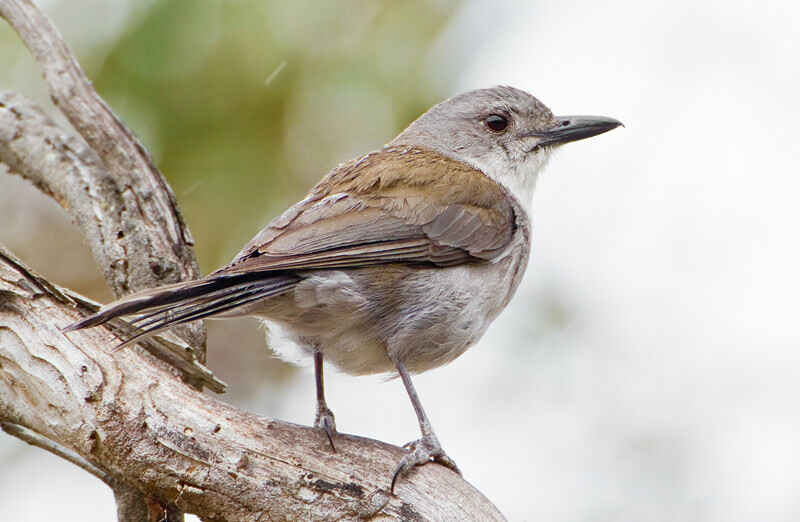 An individual male Grey Shrike-thrush may have around 16 song variations in his repertoire. Additionally, there are regional song variations. Apart from the song, Grey Shrikethrush also give single & double-note calls as well as sharp, repetitive phrases. These simpler calls are often heard during the winter months. XC286925 This first recording features typical song phrases from a Grey Shrikethrush. Recorded near Nyngan, New South Wales. XC336305 This is a variation of the typical song. Recorded in Nombinnie Nature Reserve, New South Wales. XC334663 Another song variation, this one was recorded in the Flinders Ranges, South Australia. Rufous Songlark, Willie Wagtail, White-plumed Honeyeater, Tree Martin and Peaceful Dove call in the background. XC204460 This song was recorded in the Bay of Fires region, Tasmania. XC334452 In this recording, a nice variety of song phrases can be heard. Weebill, Chestnut-rumped Thornbill, Grey Butcherbird and a number of other species can be heard in the background. 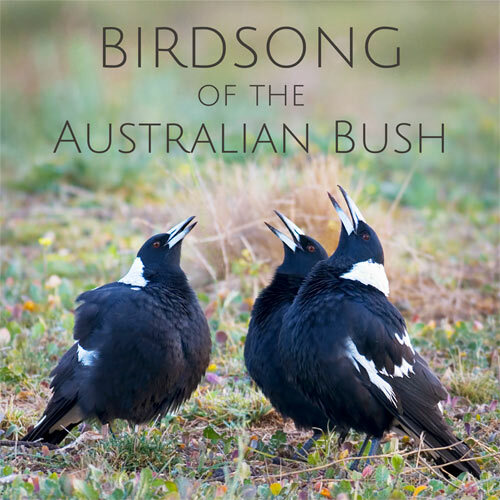 Recorded at Gluepot Reserve, South Australia. XC244295 This is the double-note call often heard in the cooler months. Recorded in the Blue Mountains, New South Wales. XC233846 Another call type often heard in winter, this is the sharp repetitive call. Recorded in the Warrumbungles, New South Wales. XC174174 A variation of the sharp, repetitive call. Recorded in the Royal National Park, New South Wales. XC287029 This is another call type. Recorded at Bowra Station, Queensland.